Sir David Attenborough kicked off the latest UN summit with a warning of “extinction” from global warming. Thousands flew in from all over the world to attend the UN’s climate summit. The UN spent months hyping the conference in order to convince world leaders to cut more emissions. This year’s United Nations climate summit kicked off Monday with a narrative it’s been building in the media and at political conferences for months: act now or face catastrophe. British broadcaster and natural historian Sir David Attenborough, purporting to speak on behalf of global peoples, warned “the collapse of our civilisations and the extinction of much of the natural world is on the horizon” if nothing is done to fight man-made global warming. Attenborough did not mention the thousands of UN climate summit participants and observers who, like himself, who had to fly, drive or travel by rail to the conference in Poland. The UN has yet to disclose the conference’s full carbon footprint. 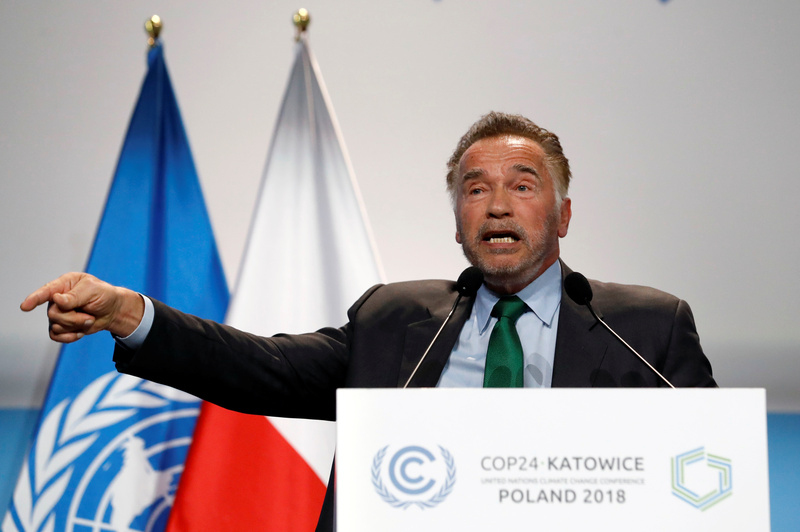 The UN set the tone for this year’s Conference of the Parties (COP) in October with the release of a dire report on the likelihood of keeping future global warming below 1.5 degrees Celsius. That report warned of catastrophe if the world warmed too much, and resulted in months of warnings it was the “last chance” to solve the climate problem. 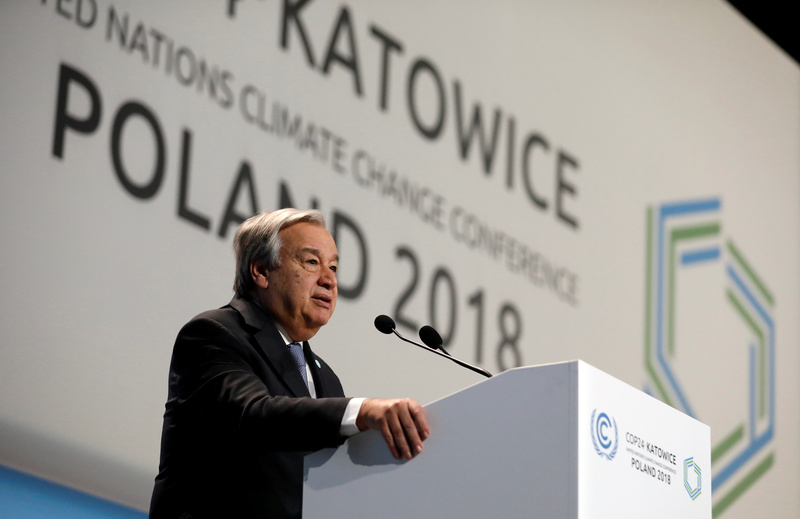 UN Secretary General Antonio Guterres addresses during the opening of COP24 UN Climate Change Conference 2018 in Katowice, Poland December 3, 2018. REUTERS/Kacper Pempel. UN Secretary-General Antonio Guterres echoed Attenborough’s dire message and called the summit, known as COP24, the “most important gathering on climate change” since the Paris climate accord was signed in 2015, three years ago. The ultimate goal of COP24 is to move forward with Paris accord negotiations. Support for the Paris accord got a boost from G20 leaders who issued a statement Sunday reaffirming their support for the international agreement. However, the U.S. still plans on withdrawing from the Paris accord in 2020, the earliest date it is allowed to pull out. And now, there are questions about Brazil’s commitment to the Paris accord with the election of right-wing Jair Bolsonaro to the presidency.